Disclosure:This post contains affiliate links, read my full disclosure policy here. The first and main thing you will need to do is gather your supplies. This is where you get to go crazy and make them as custom as you want. 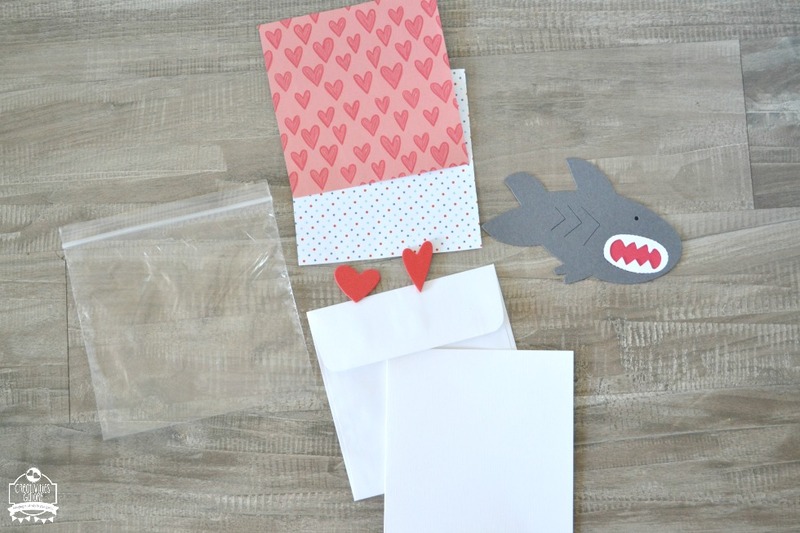 The supplies I gathered were two pieces of scrapbook paper, a shark cutout, 2 foam sticker hearts, a square card, an envelope, and a bag to put everything inside. The cool thing about making your own card kits is that you can use up some of those scrapbook paper scraps that you have been collecting for sometime now. How cute is this shark? 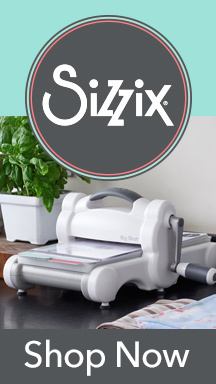 I made him using the Sizzix Shark Bigz Die designed by Laura Kelly. 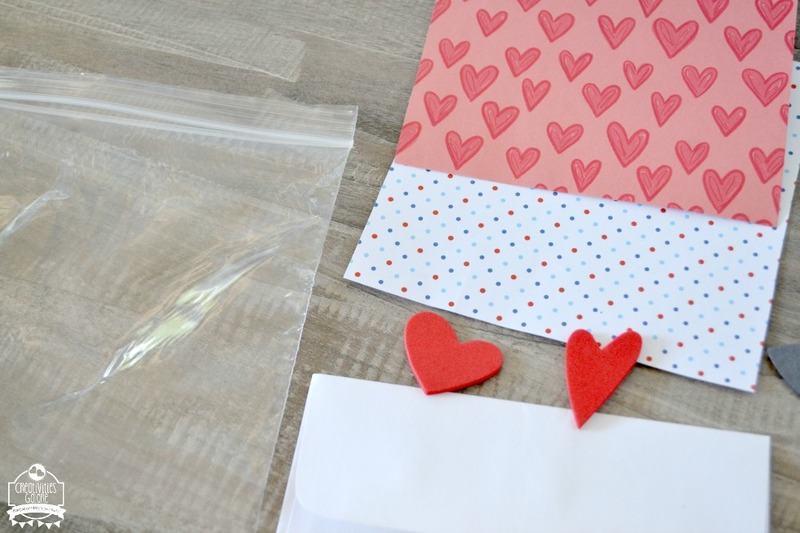 After you gather all your supplies divide everything up for each card kit and place them inside your bag and just close it up. 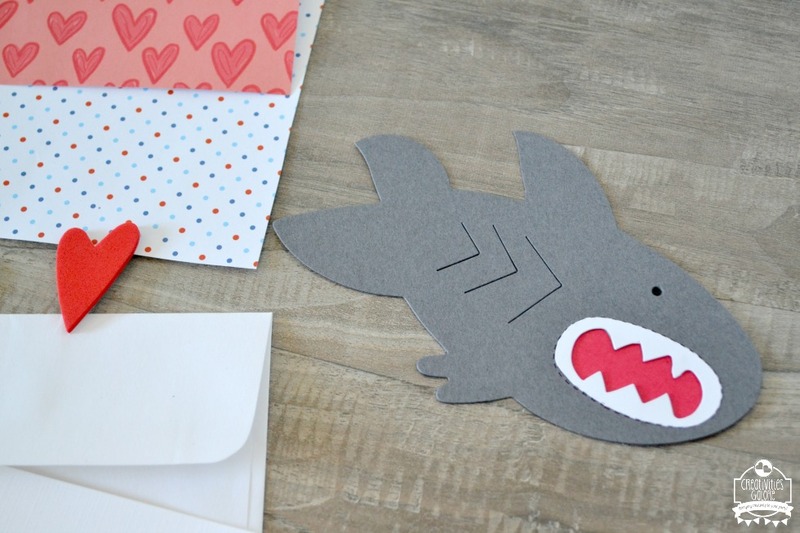 Now your shark valentine card kits are ready for assembly. 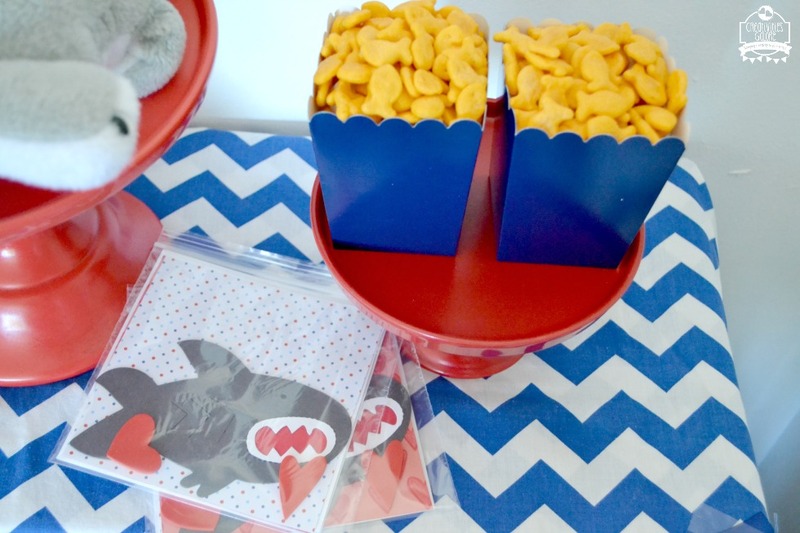 In DIY, Shark Week, Valentine's Day. Bookmark the permalink.